‘The Lebanese cuisine is a cuisine of the sun and a cuisine from the heart’. Its colours reflect the 1001 sunny landscapes and its diversity evokes the abundant Lebanese generosity and hospitality. 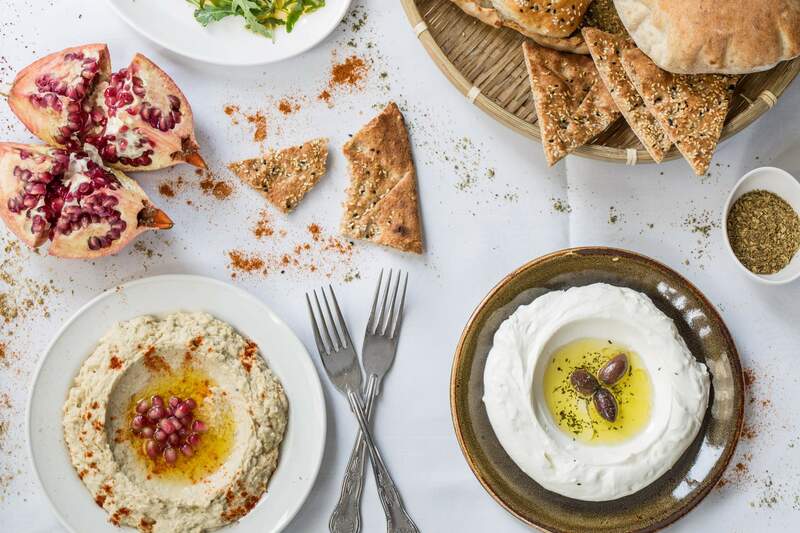 The Lebanese gastronomy is a rich mixture of fresh ingredients such as olive oil, herbs, spices, vegetables as well as dairy products, cereals, fishes and meats. The ‘Mezze’ has made Lebanese Cuisine renowned worldwide. Similar to ‘tapas’ of Spain and ‘antipasto’ of Italy, the mezze is an array of small dishes placed before the guests to create an array of colours, flavours, textures and aromas. The style of the Lebanese table epitomises the social and sharing aspect of Lebanese culture. The Arak, anise-flavoured liquor, is the national Lebanese alcoholic drink and is usually served with the traditional convivial Lebanese meals. Another Lebanese drink worth savouring is the Lebanese wine, which is now enjoying a worldwide reputation. Main courses range from a wide variety of Fish and meats usually prepared on the charcoal grill. The family cuisine offers a range of dishes such as stews made in many forms and usually served with vermicelli rice. Although simple fresh fruits are served at the end of the meal, there are also deserts such as baklava and more to accompany mint tea and Lebanese coffee.